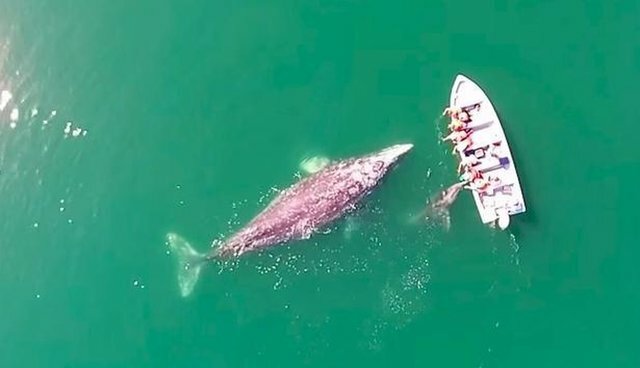 One mama whale and her little calf proved that seeing whales in the wild doesn't mean you can't have an up-close encounter with them - she gave tourists quite a surprise when she swam right up to their little boat and asked for a pet on the head! 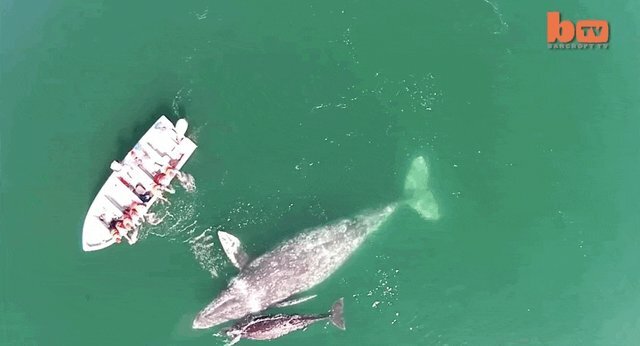 This stunning video was captured back in February off the coast of Baja California, Mexico. 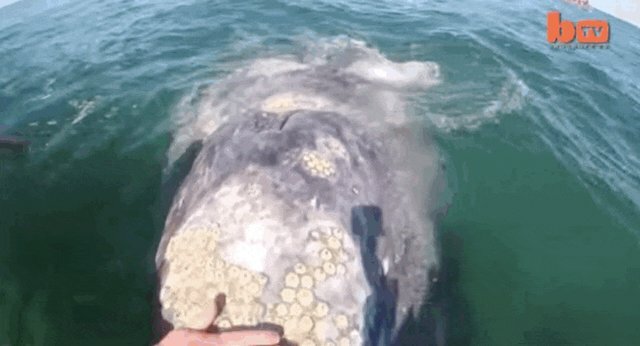 A pod of grey whales, stopping by on their journey from their winter breeding grounds to their summer feeding grounds in the Arctic, came right up next to a group of eager animal lovers who had boated out to see them. A mother and her calf even came close enough for the humans on the boat to give them a friendly pat on the head. 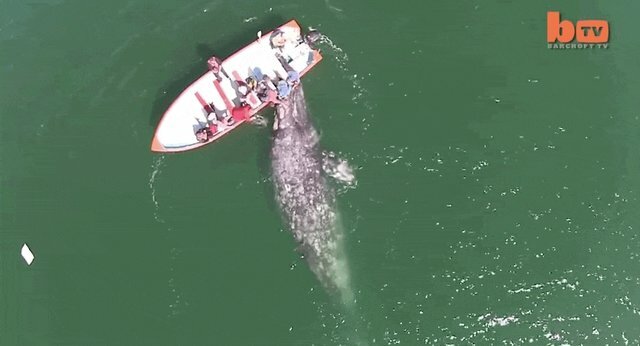 Drone footage caught the hands-on visit from above. And an underwater camera caught the faces of the friendly whale family as they bumped their noses up to the excited humans. Incredible wildlife stories like these show that whales don't need to be in captivity to delight, impress and educate us. 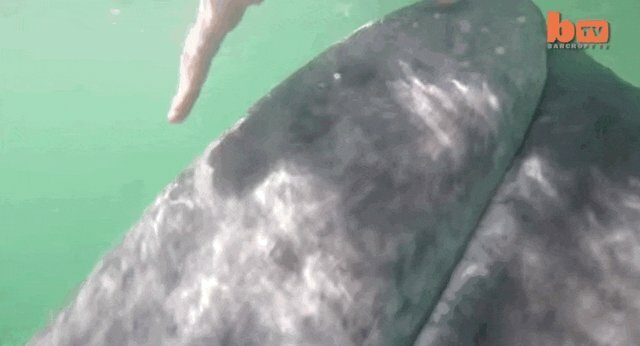 This happy pod showed off for some tourists, got some nuzzles and then headed on their merry way - wild and free.